Njie Manneh has said that President Adama Barrow is The Gambia’s Nelson Mandela and will rule for 20 years. “Adama Barrow is the Nelson Mandela of The Gambia. Any other person who calls himself Nelson Mandela is fooling himself,” Manneh a staunch President Barrow apologist said in a WhatsApp audio message made available to The Fatu Network. Pressure is mounting on President Barrow as the three years deal that shot him to power edges to its climax. 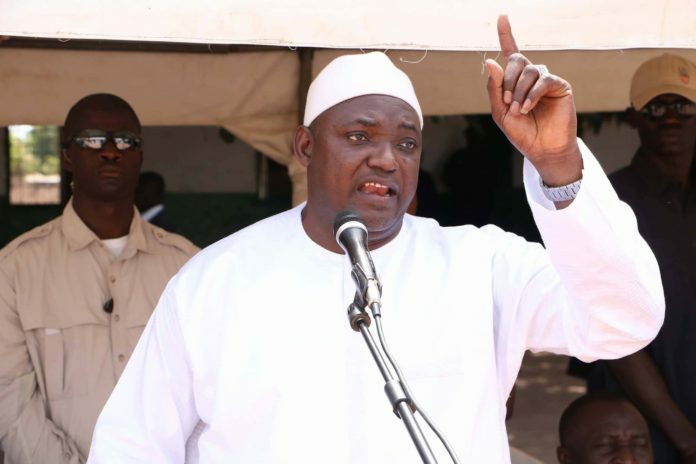 According to Manneh who is a member of the President Barrow Youths for National Development, President Barrow will stay beyond the three years and will go on to rule The Gambia until 2035. “I hear people advocating for President Barrow to step aside after three years. I want to tell everyone that President Barrow is the Nelson Mandela of The Gambia from 2016 to 2035,” Manneh said. Now Read This: Alagie Kanyi slaughtered Ousman Koro Ceesay.